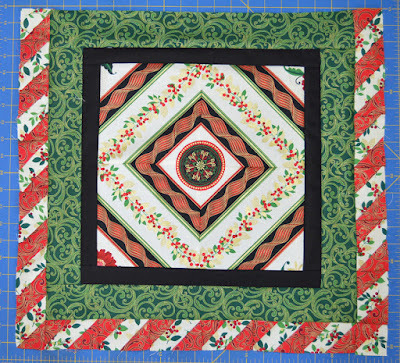 Today we're featuring a table topper tutorial using Maria Kalinowski's Joyful collection. Rich red, deep green, black, cream and metallic accents--this line is certainly full of joy! It has a fun stripe for fussy-cutting, but we think the star of the show is the print we've used in the outer border. Step 1: Sew the (4) 6-1/2" fussy-cut squares together in pairs, aligning the fabric design, and then join the pairs to create the quilt center. 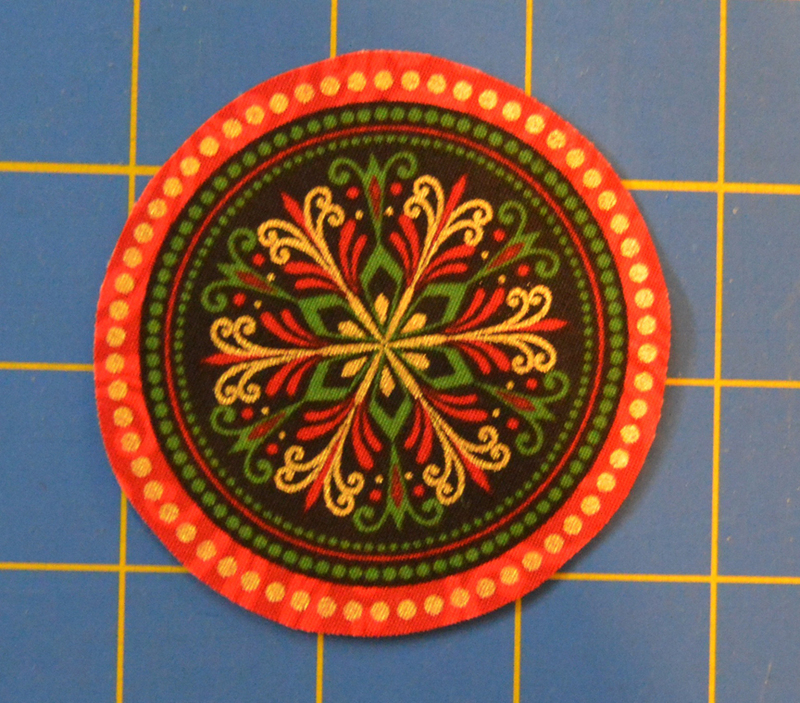 Step 2: From the remaining red/black ornament print, loosely cut out around a medallion shape. Following manufacturer's directions, adhere fusible web to the back of the medallion and cut out neatly around shape. 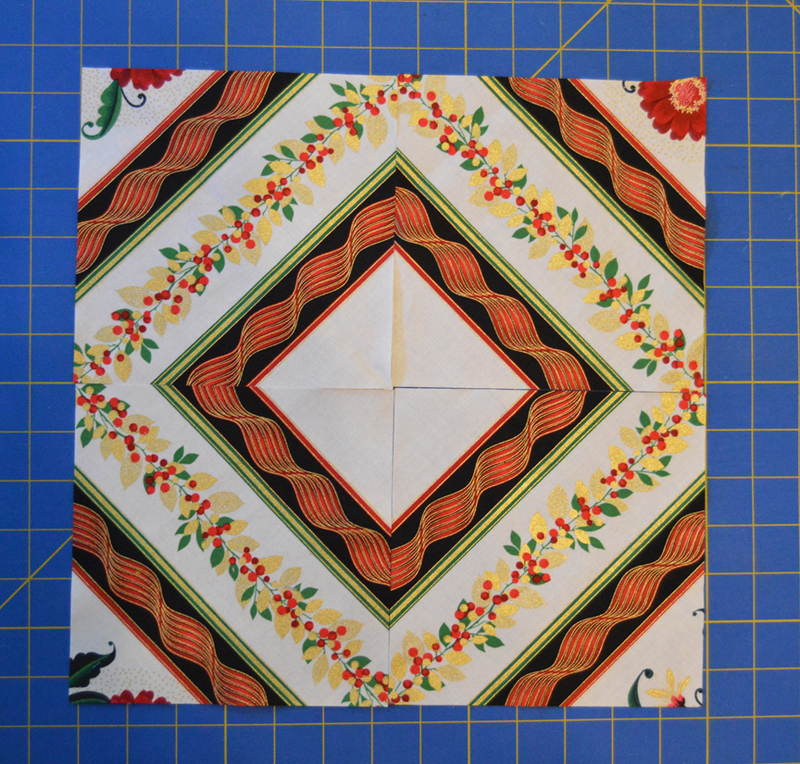 Step 3: Fuse to the middle of the quilt center. 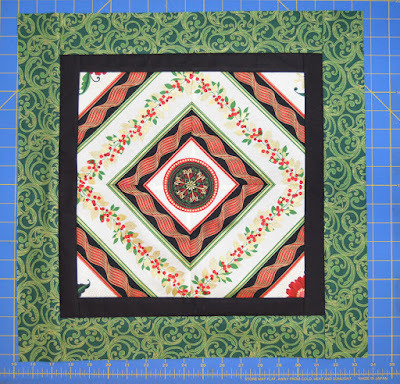 Step 4: Sew the 1-1/2" x 12-1/2" black strips to the sides of the quilt center. Sew the 1-1/2" x 14-1/2" black strips to the top and bottom. 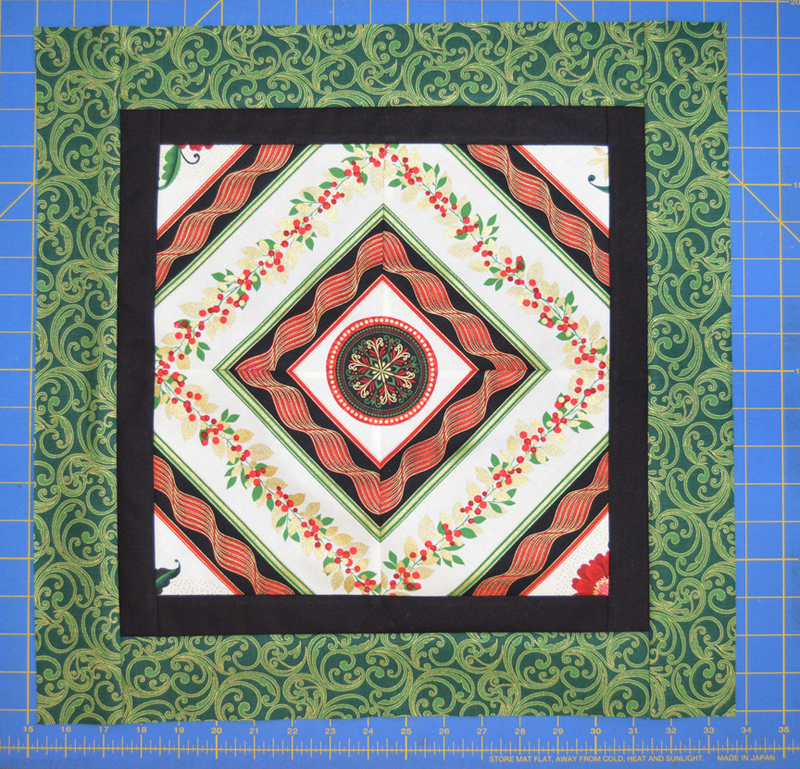 Step 5: Sew the 2-1/2" x 14-1/2" green scroll strips to the sides of the quilt center. 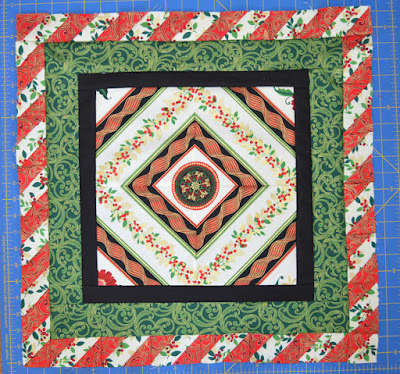 Sew the 2-1/2" x 18-1/2" green scroll strips to the top and bottom. Step 6: Draw a diagonal line on the wrong side of all the red scroll squares. 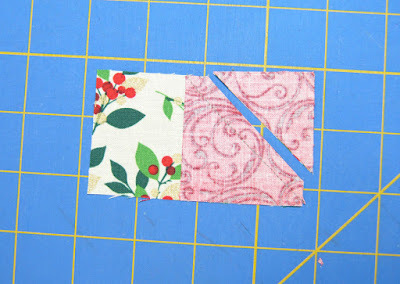 Step 7: Lay the marked 2-1/2" red scroll square right sides together on the 2-1/2" cream berry square. 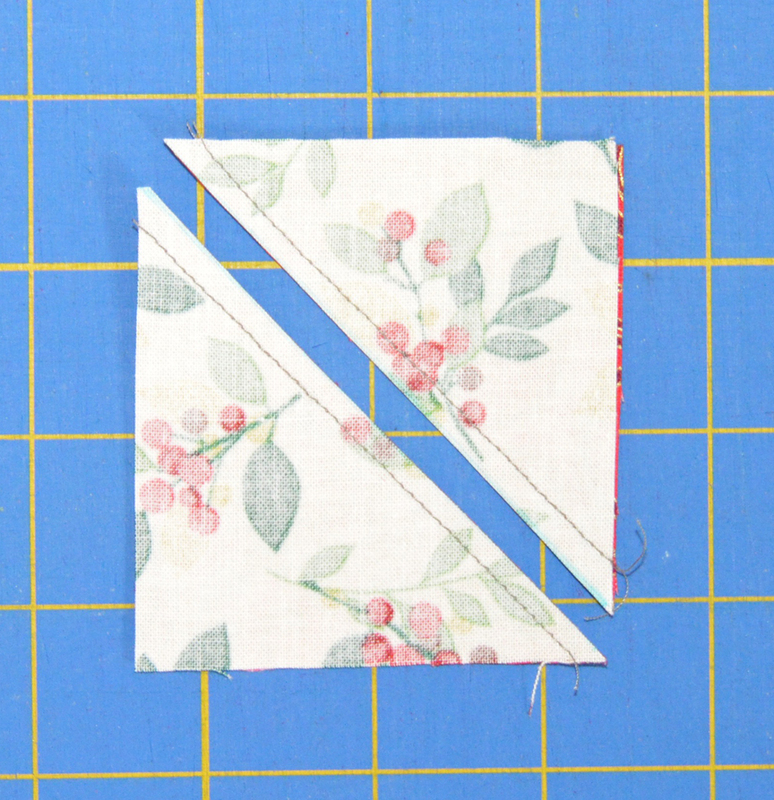 Sew 1/4" on either side of the marked line. Cut on the line and press each half-square triangle unit open. Trim to measure 2" square. 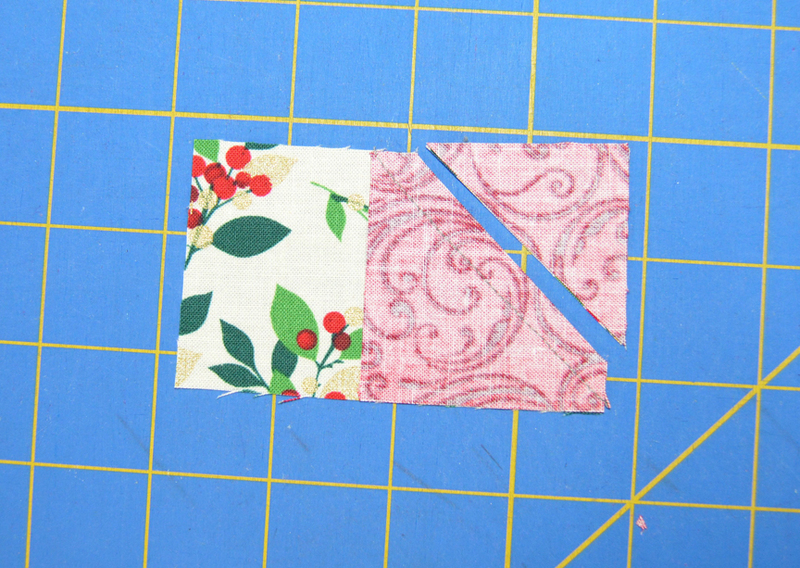 Step 8: Lay a marked 2" red scroll square right sides together on the left side of a 2" x 3-1/2" cream berry piece. Sew on the drawn line, trim 1/4" past the seam, and press open. 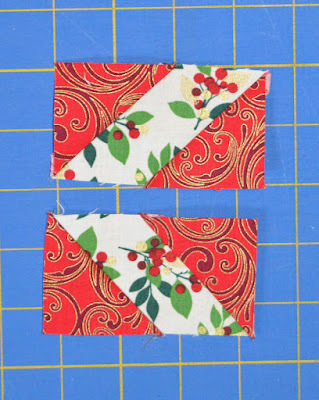 Step 9: In the same way, position a marked square on the right end of the cream berry piece so the line is parallel to the first seam line. Sew on the line, trim, and press open. 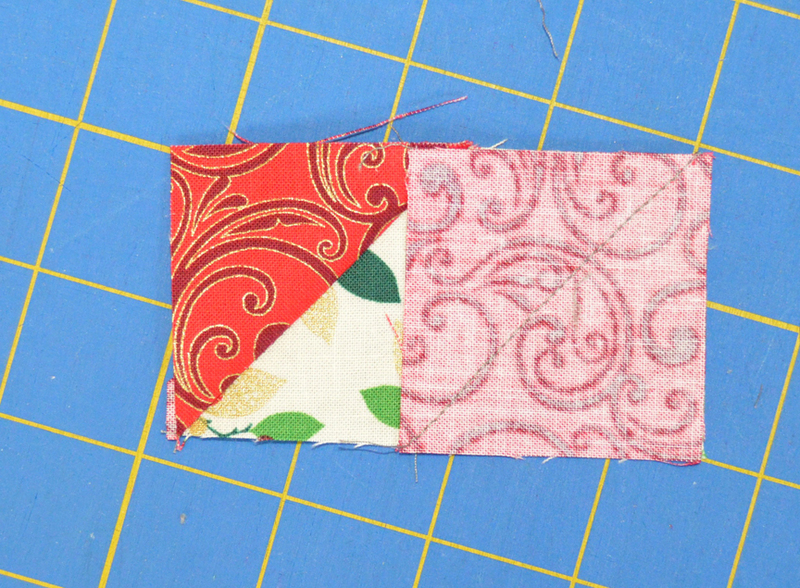 Step 10: Make a total of (13) right-angled stripe units with red in the upper left and lower right corners. 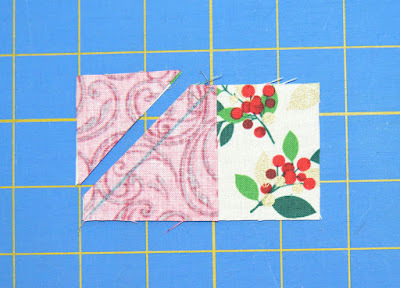 Step 11: In the same way, position a marked square on the right side of a 2" x 3-1/2" cream berry piece as shown, sew and press. Repeat on the left corner, making sure the seams are parallel. Make a total of (12) left-angled stripe units. 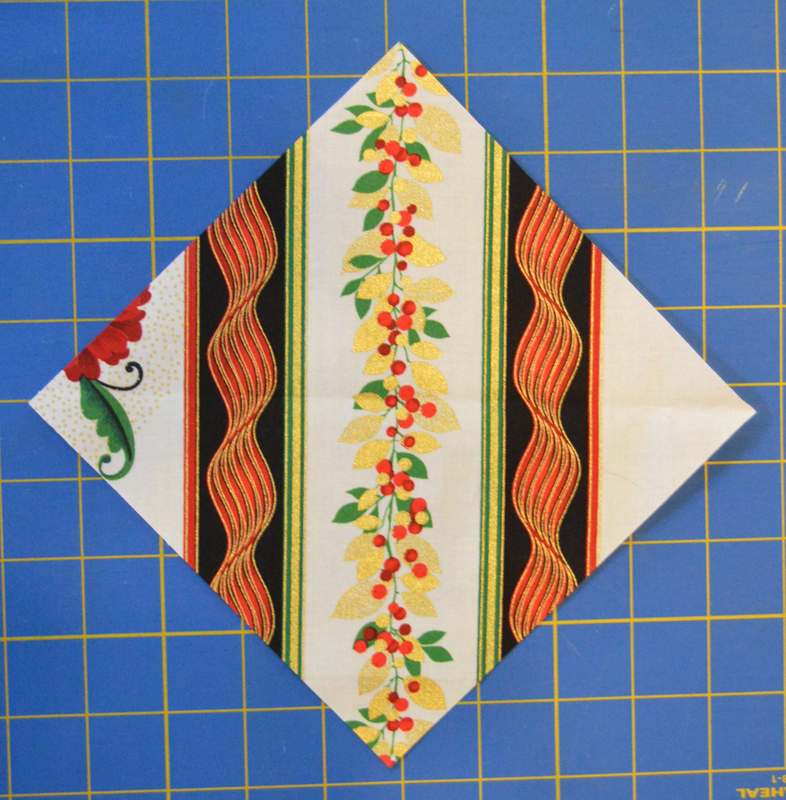 Step 12: We'll be adding the border one side at a time to create the stripe pattern and avoid using partial seams. Start with the right side border: Sew together (6) left-angled stripe units as shown and then join to the right side of the quilt top. Step 13: For the bottom border, Sew together (6) right-angled stripe units and then add a HST to the right end. Sew to the bottom of the quilt top. Step 14: To make the left side border, sew together (6) left-angled stripe units and then add a HST to the top. Sew to the left side of the quilt top. Step 15: To make the top border, sew together (7) right-angled stripe units and add to the quilt top. Step 16: Sew 1-1/2" x 21-1/2" black strips to the sides of the quilt. Sew 1-1/2" x 23-1/2" black strips to the top and bottom. 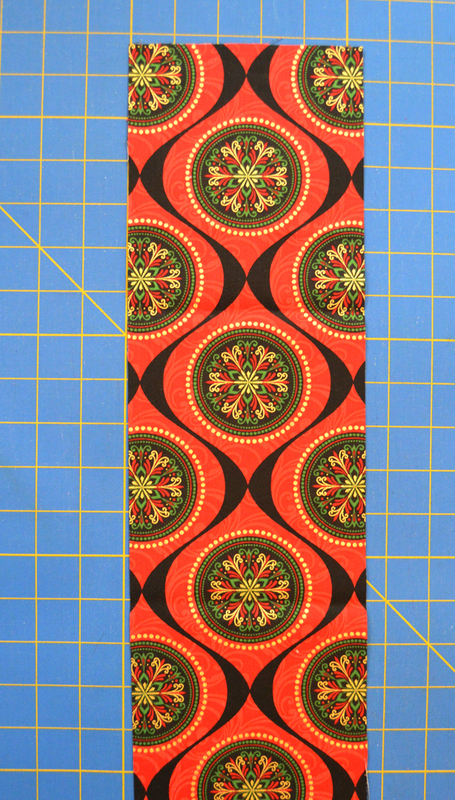 Step 17: Sew 5-1/4" x 23-1/2" red/black ornament print strips to the sides of the quilt. 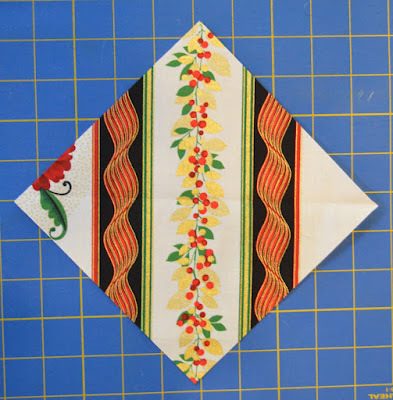 Sew 5-1/4" black squares to both ends of the remaining two strips and sew to the top and bottom of the quilt. Step 18: Layer the quilt top with batting and backing, baste, and quilt as desired. 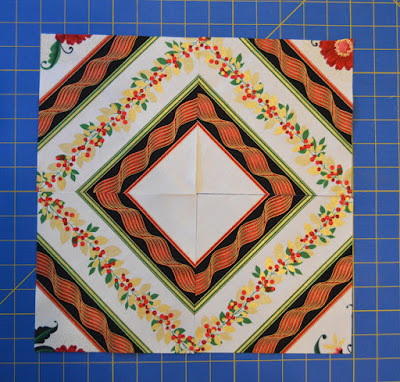 Use the (4) 2-1/4" x 42" black strips to bind the table topper. Enjoy! 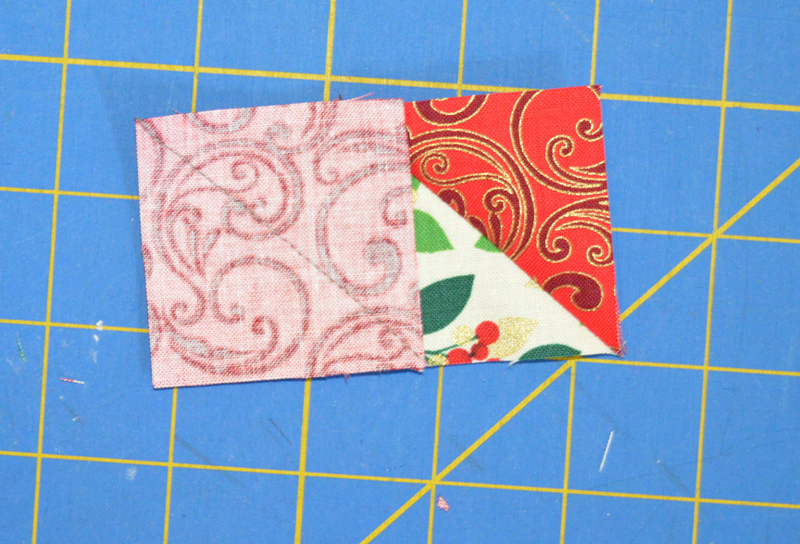 For a chance to win a fat quarter bundle of Joyful, make sure you're following our blog! Leave a comment letting us know that you are, as well as letting us know if you've started any Christmas sewing yet. Giveaway is open through Tuesday, August 2nd at 11:59 pm EST; U.S. addresses only, please. HAPPY TO FOLLOW YOU ON FB+GMAIL. I have not started any Christmas gifts yet, but hope to make a throw for my niece! 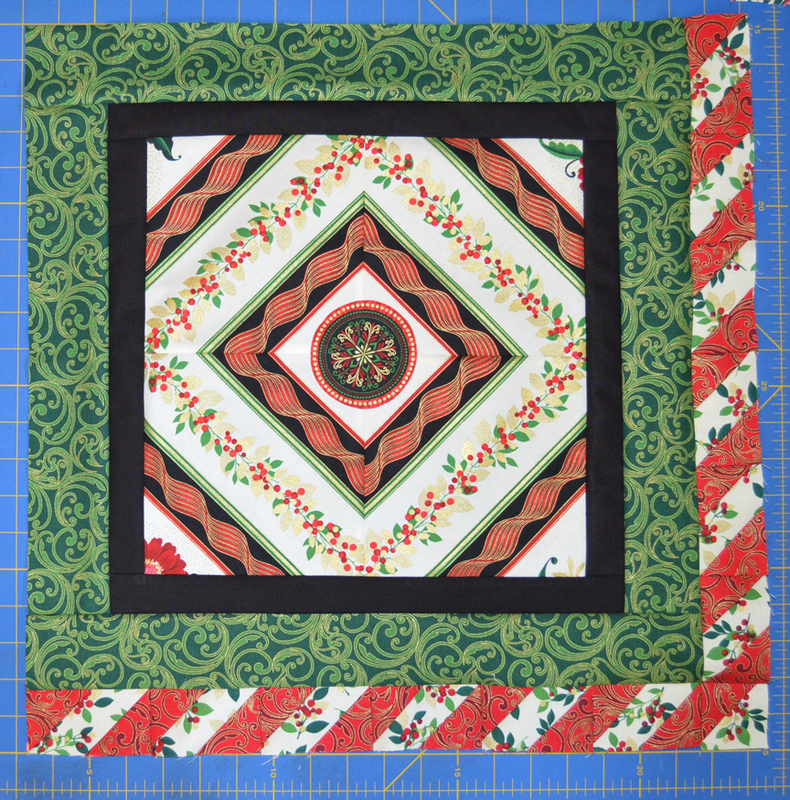 No Christmas projects begun yet, but I'm getting lots of ideas from the blog hop! I follow by email and no, no Christmas sewing here yet. I tend to wait until November to begin. I am a happy follower on Facebook and e-mail. 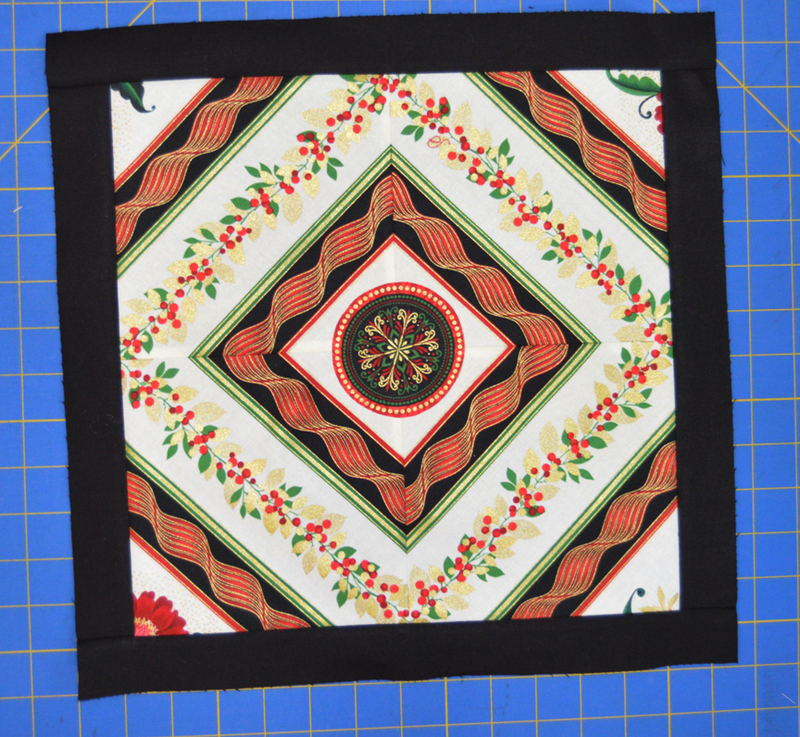 I love what you did with the black background red ribbon fabric, that surrounds the berries. I have started Christmas projects boxy bags, runners and lap quilts. Thank you so much for the tutorials this week. Everything was inspiring! I follow by email. I started my Christmas sewing in February. I like to get ahead start so come November and December I dont have any sewing for Christmas to do. 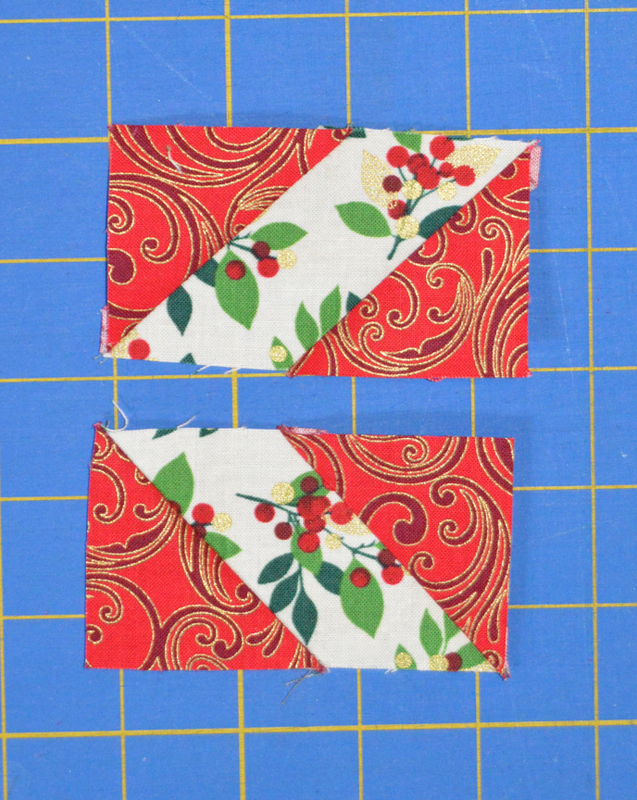 I follow by email, and yes, I have begun some Christmas sewing! I follow your blog by email and Bloglovin. I haven't started any Christmas projects yet. Have not started my Christmas gifts yet. I guess I better get started. Time is going fast. I follow your blog via email. I follow with email and GFC. I have started a few gifts. I hope I don't gift them before the holidays get here. I follow you by email - love to see your posts in my inbox! Started shopping for Christmas fabrics and patterns in June, cutting in July and stitching today so I'm on my way early as was my goal. Placements, lap quilt , fabric bins , napkins (thanks to THursday's post) in progress. I do follow by E-mail, BL. It's 100 here, just can't get into Christmas yet. I follow your blog through Bloglovin. I haven't started any Christmas projects yet. I'm still working on last year's BOMs. I'm almost caught up with them, then I will move on to thinking about Christmas! I follow via email. I actually did a Christmas theme challenge this week. I'm not sure what it'll become, but the blocks are done. 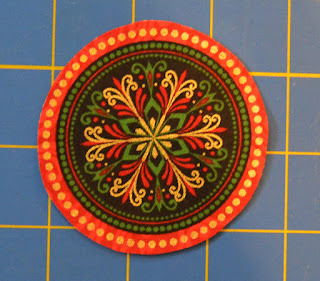 I like the idea of using applique to change the center. Nice design. I follow via email. Getting close to starting my Christmas sewing but got sidetracked with making a birthday gift first. Love this topper. Great use of all the prints. 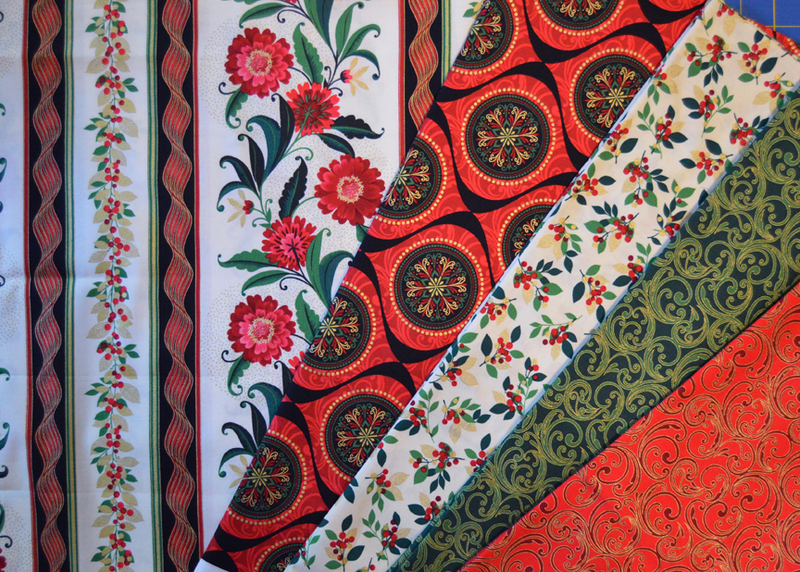 Oh, yes, I follow the blog and I love Benartex fabrics. I haven't started Christmas sewing. I follow you via email. No projects started here as of yet, still trying to catch up on other items from the past. Table topper it Joyful! Your blog is giving me a lot of ideas, but I haven't started anything yet. i am a happy follower. 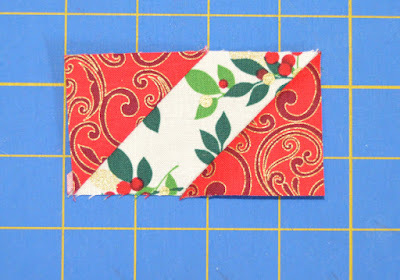 I haven't started any Christmas sewing yet but have been looking for some great ideas. Love the table topper. I follow via e-mail. :) And I have sewn a couple of aprons for the DIL's and pland to make PJ pants for everyone. 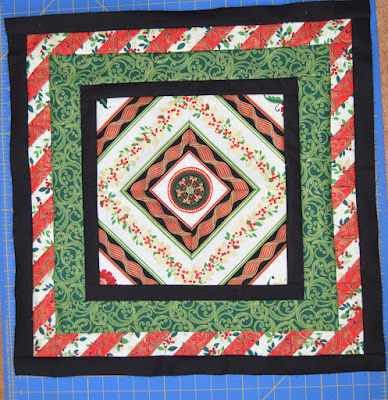 Haven't begun any Christmas projects - I have 2 from last year that I need to finish first ! I follow by email and I have not started Christmas sewing yet - have to get through the fall birthdays first! I follow via email. I haven't started anything for Christmas yet. I've been making Christmas gifts all year. I follow via GFC. 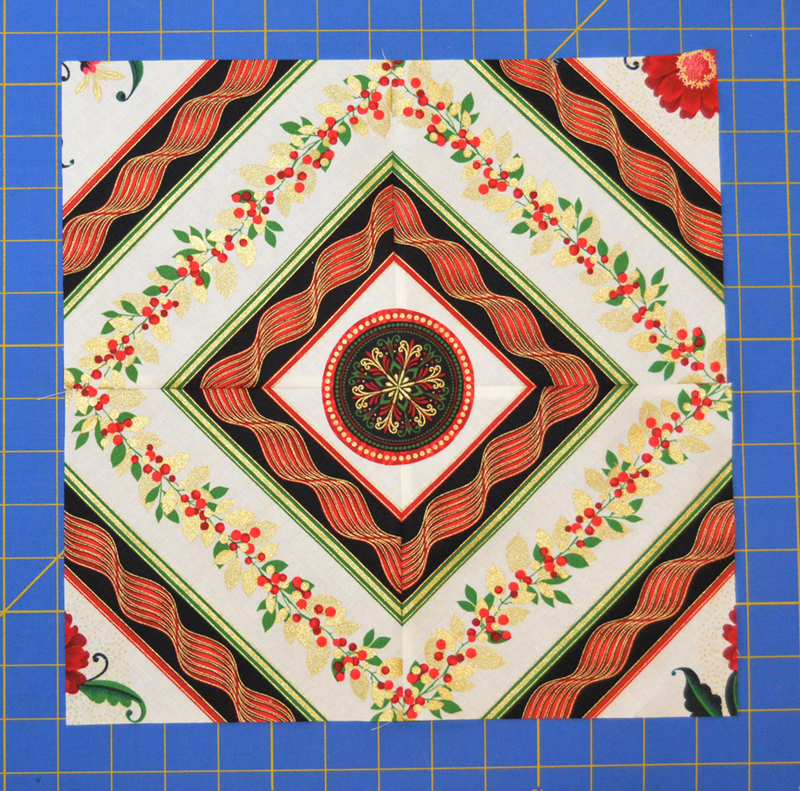 I've been getting your emails and have downloaded a couple of the patterns for later use. Thank you for kick starting me on the holiday sewing. I follow by email. 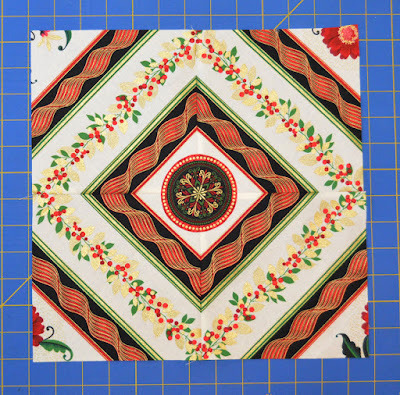 Love the table topper tutorial. There have been some great projects showcased and I wish I had time to make most of them!!! 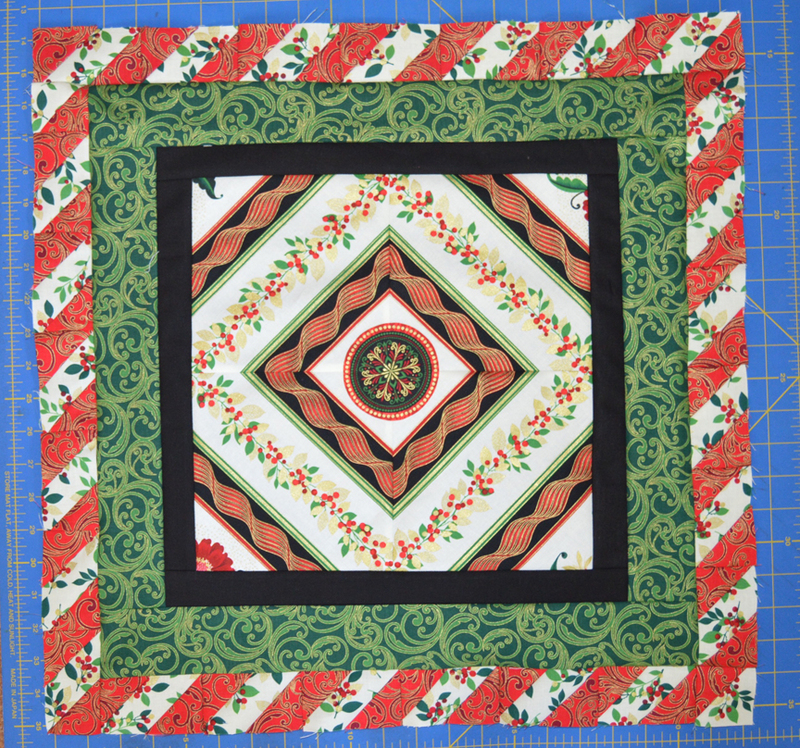 I have not started on Christmas, busy making bedroom quilt. 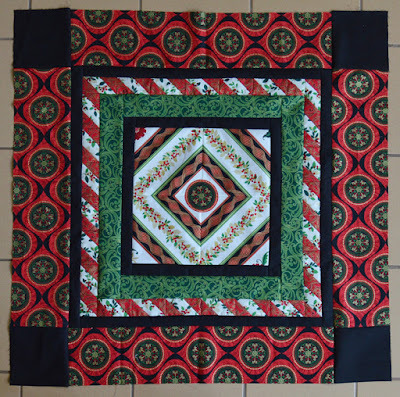 The only sewing/quilting I do for Christmas is for my Grandchildren. I usually start making something for them around the first of December. I follow via email. I haven't started any Christmas sewing yet. Thanks for all of the great tutorials. I follow via Bloglovin. One Christmas quilt top made and two to go. 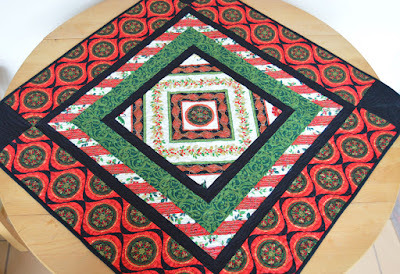 Gorgeous table topper--thanks for the tutorial! I am a Bloglovin' follower and nope, I have not started any Christmas sewing projects yet! I hope to begin in August though. 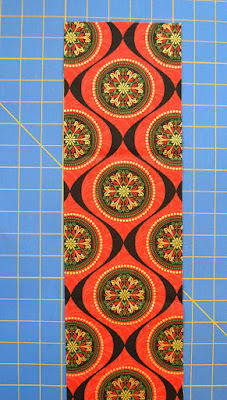 Following you on facebook--haven't started a Christmas project yet, but have a jellyroll I plan to try something with! I am a follower via Bloglovin. 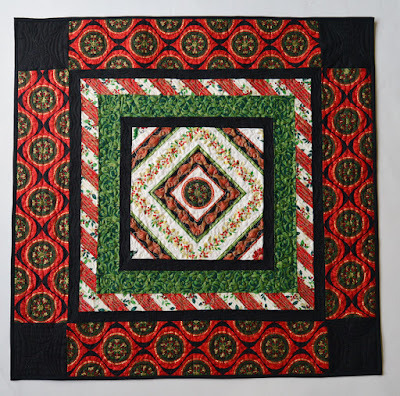 I have been making one of my good friends seasonal flags to hang in her entry (they are really just 12' square mini quilts), and have almost finished the year round collection. I just have December and Jan to do. Thanks for a great blog, the tutorial and sharing the giveaway! E-mail subscriber & bloglovin follower: Nicole Sender. I haven't started on Christmas gifts yet. Your blog hop has given me many ideas! I am a follower ! I have started on a tree skirt for my sister! I follow you via email (wordygirl @ earthlink dot net). I've started some quilts--none fully finished yet, though--and some stitchery projects. Now it's time for me to kick it into high gear and record some finishes. 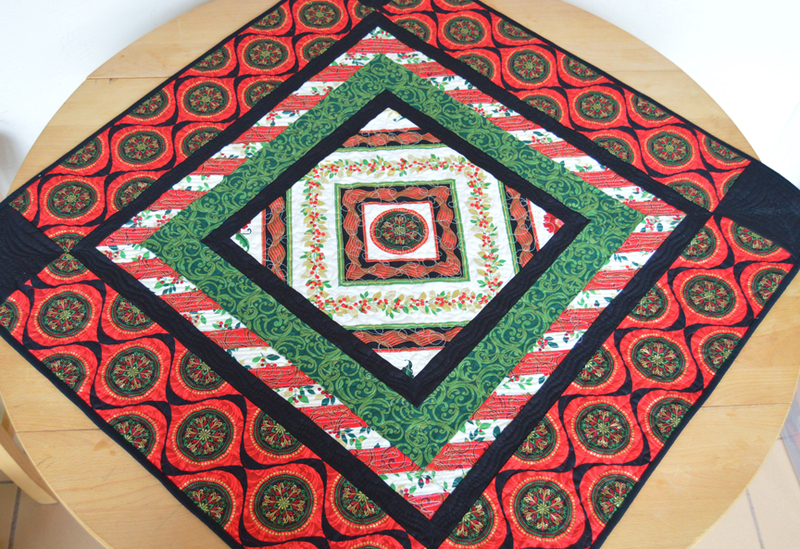 I have two completed tops that need quilted. I am hoping to get them done when I go on a retreat in August. I follow on Bloglovin. I have 3 Christmas wall hangings cut out and ready to sew. I hope to finish them this weekend. Thanks! I follow the blog on Bloglovin'. 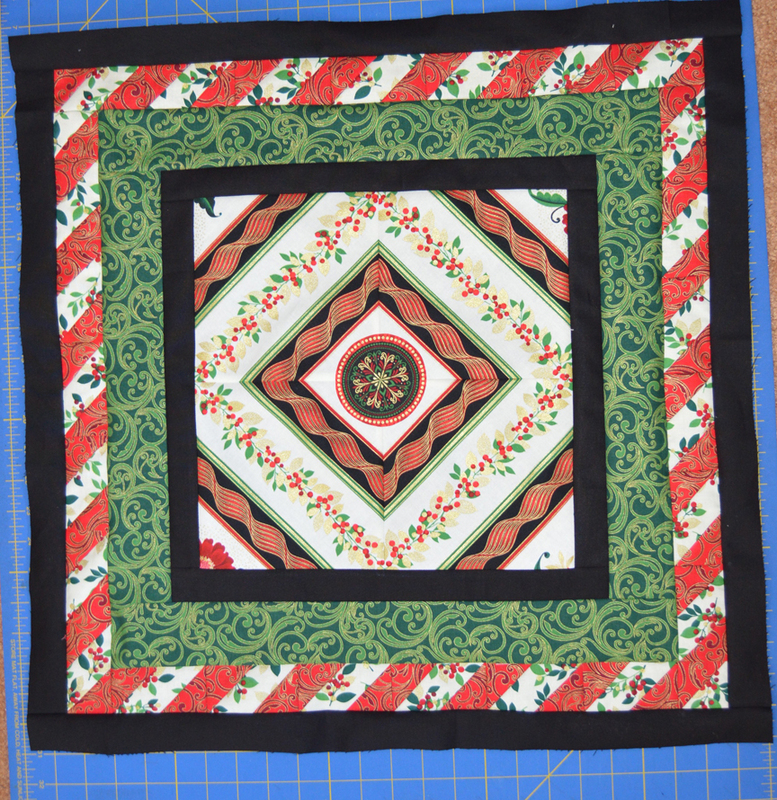 Have only started thinkib about Christmas projects so far. following via blogger dashboard. Love this fabric and thank you for the TT tutorial. Nope, no Christmas going on here yet. i follow on blog lovin'. no holiday sewing yet, baby quilts 1st for the soon to be grandson. I follow by email. My Christmas list for sewing begins with my list from the year before. I have made several items and have them on a shelf -- just wish I had more finished. Several works are in progress. Your project is beautiful! I follow on facebook and feedly. I have started some of my Christmas sewing. You did an amazing job using these prints! I follow you on Bloglovin'. 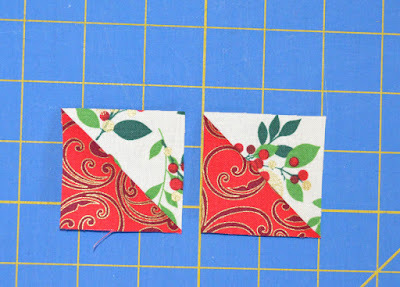 I haven't started Christmas sewing yet, but I do have some plans for the little grands. I can't seem to find time to just do what I'd started for the summer! That table topper is beautiful and looks more complicated than it is. I follow this blog via Bloglovin. My sister and I have started our Christmas gift making in June. We have started on the pillowcases and fleece blankets. We still have aprons, potholders and soap to make. I follow on blog lovin. I guess technically I've started my Christmas sewing since I have projects from last year that still need to be completed! But am getting ready to make some table toppers and a new wall hanging for this year. I follow on blog lovin. I haven't started any Christmas sewing projects, but I am working on a Cross Stitch Christmas Stocking. I guess I will get to start sewing once the stitching is done. I follow you on bloglovin. I have many Christmas projects planned, but not started. Still getting all the fabric together. I'm a follower on bloglovin. 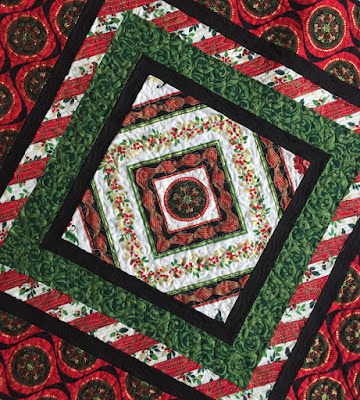 I'm working on a Holiday Wreath lap quilt. I follow your blog on bloglovin. I also follow you on Facebook. 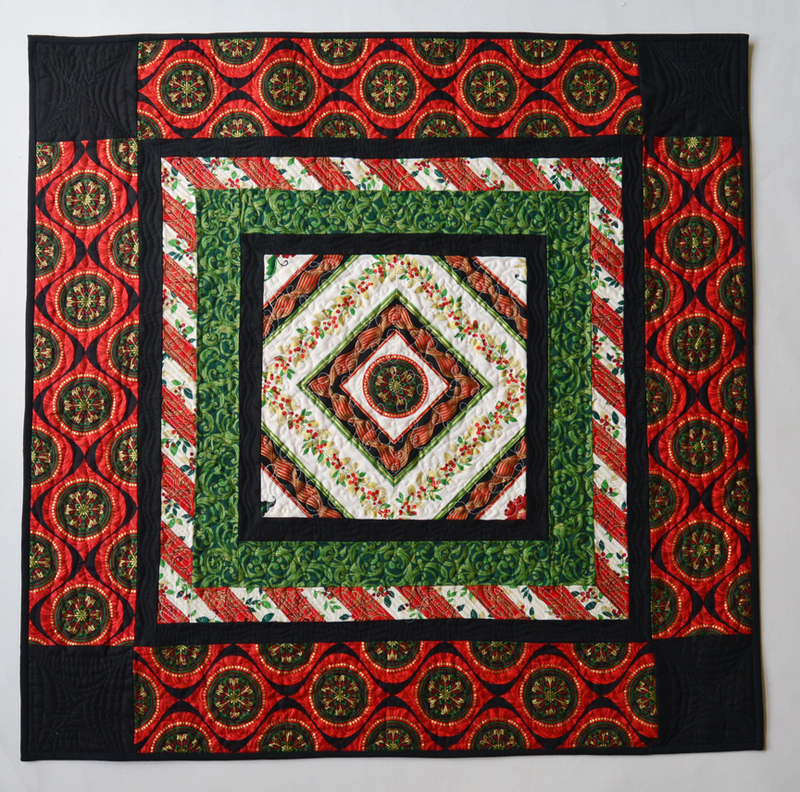 I have been working on Christmas gifts for my grand kids for the past year, making blocks from my quilt guild's BOM in their favorite colors for new quilts for each of them. 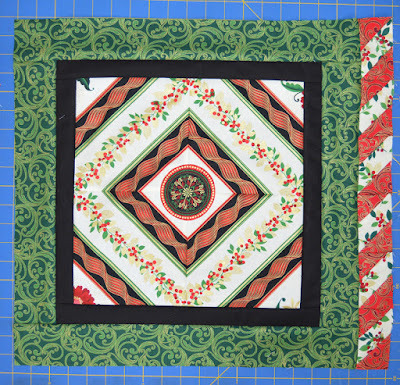 I started one Christmas in July coaster swap. That's it for me. I haven't started Christmas sewing yet but several ideas are percolating! I follow your blog by email! Yes, I have been making Christmas gifts since the beginning of July with the help of a few blog hops. Thank you for including your spectacular fabrics with the inspiring projects to create as gifts for Christmas on your blog hop that I am truly enjoying! Have a fantastic creative day! I follow your blog by email and bloglovin! Love making Christmas gifts - already had one Christmas in July exchange! Loooking forward to doing more soon!!! Saw some gorgeous Christmas fabric candy jar wall hangings while I was away on vacation!!! I think they were a Kanvas line - do you know if they are still available?